It's not uncommon for a little anxiety to creep into your gym time. Am I doing this right? Are people staring at my sweat stains? 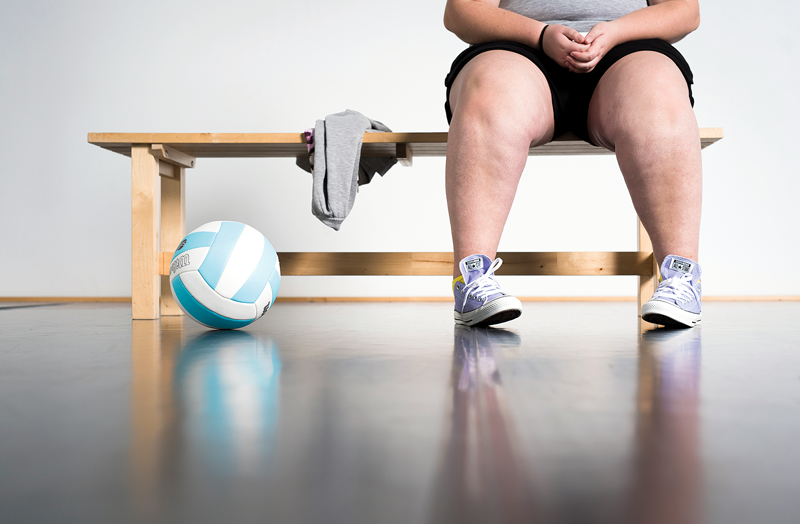 If you've ever felt intimidated walking into a weight room, you're certainly not alone. According to a new survey, gymtimidation does more than just cause a little anxiety—it's keeping a shocking number of women at home. The list of gym fears goes on. Fifty-five percent of women feel they're being judged for "not looking fit enough," 49 percent fret about their clothing choice, and 25 percent fear being stereotyped. "Fear of judgment comes from exactly that: fear," says Ashley Borden, a certified strength and conditioning specialist. "I used to suffer from a debilitating gym-going 'distorted ego.' I had this idea that everyone was going to stop what they were doing and judge me every moment. Reality check? After 35,000 hours working in a gym setting, I can tell you this: the only one who really cares is you," she says. "Everyone else is so focused on themselves they couldn't care less or they're thinking the exact same thing themselves." Since not even top trainers are immune to a little gym anxiety, they've got the expert strategies to help you score some major confidence gains. Here's how to increase your confidence at the gym and crush a fear of being judged. "I don't suggest walking into a gym and winging it," says Borden. "It's the aimlessness that feels uncomfortable. You want to have a plan." Before heading to the gym, read-up on a workout routine that will take the guesswork out of your sweat session or download an app that will take you through a circuit in real time. Fifty-one percent of women reported fear of improperly doing an exercise—even with a plan, nailing a single leg deadlift can feel nerve-wracking. Borden suggests perfecting your form at home to help you feel more confident. "I always stress form first, then layer in intensity, weight load, etc." Look for apps and downloads that break down the fundamentals like Borden's The Body Foundation, which will have you teaching your fellow gym goers perfect push-up form in no time. 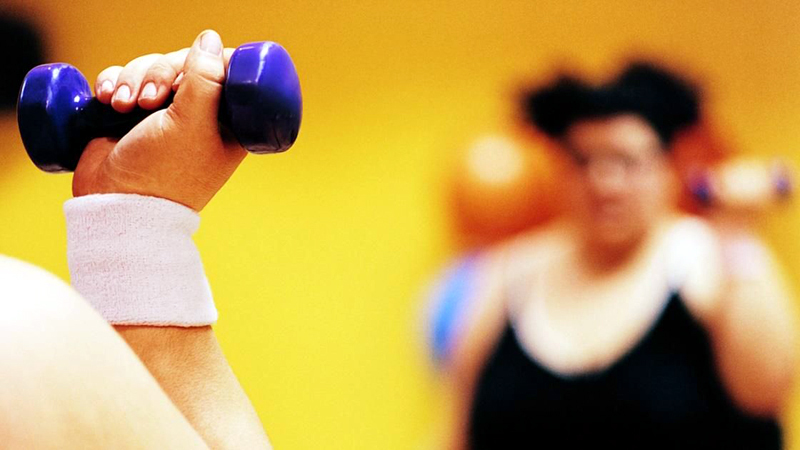 Even if you're an avid gym-goer, not all gym equipment is the same. You might confidently stroll up to a machine only to realize you have no idea how that model works. According to the survey, over 58 percent of women feel like they're being judged on using equipment the wrong way. There's an obvious solution to this. "If you don't know how to use a piece of equipment, grab a trainer and ask," says Samantha Harris, CPT, an Emmy-winning TV host. "They're eager to show you proper form—that's one reason they are there." But if the thought of asking a trainer a newbie question freaks you out, you can also up your gym confidence by planning ahead. "There are good YouTube instructions online with very straightforward clips on how to use equipment," adds Borden. Find one piece of equipment you know you're comfortable with, and make that your home base, Borden suggests. Bring a set of dumbbells over to your machine and switch between exercises. (Just make sure you're practicing good gym etiquette and sharing.) "The idea is to not wander around the entire gym," Borden says. "Choose a workout and stick to a plan." "Classes can be a blast and are a great way to get into your workout groove," says Harris. But the thought of stepping into a new class where the instructor might call you out or you might not know how to use that studio's spin bike might keep you from signing up. "It's okay to choose a spot in the back until you feel more comfortable," Harris says. "That way you can easily follow the more seasoned cardio queens and not feel like all eyes are on you." There are some reasons for gym anxiety that are out of your control: 5 percent of women reported being sexually harassed at the gym. "There is no excuse for sexual harassment and you should report anyone to management immediately if you feel harassed or threatened in any way," Borden says. "That goes for members and inappropriate personal trainers." Sadly, they're definitely out there. Remember what makes you want to go to the gym in the first place: To make your body stronger, score a little mental health boost, prioritize taking care of yourself. "Taking care of yourself also means eliminating the self-sabotaging jury in your head, or at least starting to ignore it," says Borden. "Even if you don't believe it yet, act as if you feel the confidence. If you arrive at a gym prepared, with a workout in hand, you won't have time for anything else other than a good sweat."